Much of Mahatma Gandhi’s thinking about spiritual law as the framework for the manifestation of spiritual energy comes from the spiritual and intellectual contacts that Gandhi had as a law student in London and which continued through his years as a lawyer-non-violent activist in South Africa. Edward Maitland – a founder of the Esoteric Christian Union in 1891 – had the most influence of these friends. (1) It is probably Maitland who introduced Gandhi to the writings of the American, New Thought writer Ralph Waldo Trine. Ralph Waldo Trine was a New Englander, and his parents named him after Emerson. Gandhi seems to have remained interested in Trine. He read his My Philosophy and My Religion (1921) in Yeravda jail in 1923, and in 1933, as he recovered from his 21-day fast for self-purification, he observed that the fast had sprung from “a yearning of the soul to merge in the divine essence. How far I have succeeded, how far I am in tune with the Infinite, I do not know.” In Tune with the Infinite was the title of Trine’s best known book. Another theme which Trine stressed and which Gandhi constantly used in his efforts to build bridges between Hindu and Muslims in India was the idea that there is the same basic principle in all religions. As Trine stressed, one must prepare in an inner dimension the images and the strategies which will later be manifested externally. Thus Gandhi always prepared himself and his close fellow activists through meditation and fasting prior to a non-violent action. Not every request for non-violent protest could be met. 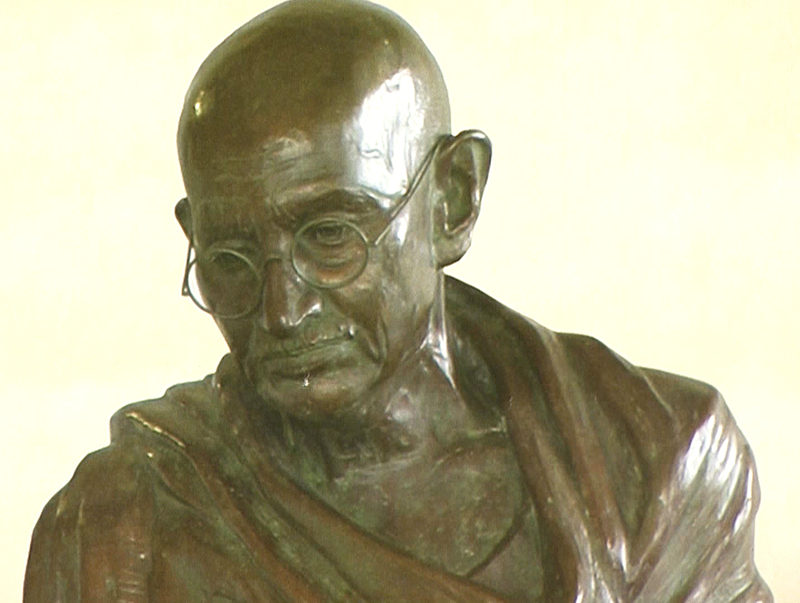 For Gandhi, there had to be an inner preparation, a self-purification, an atunement with the source of energy. The thinking of Trine is analysed as ‘The Religion of Healthy-Mindedness’ in William James The Varieties of Religious Experience (1902, many editions). – Posted on October 10, 2018.